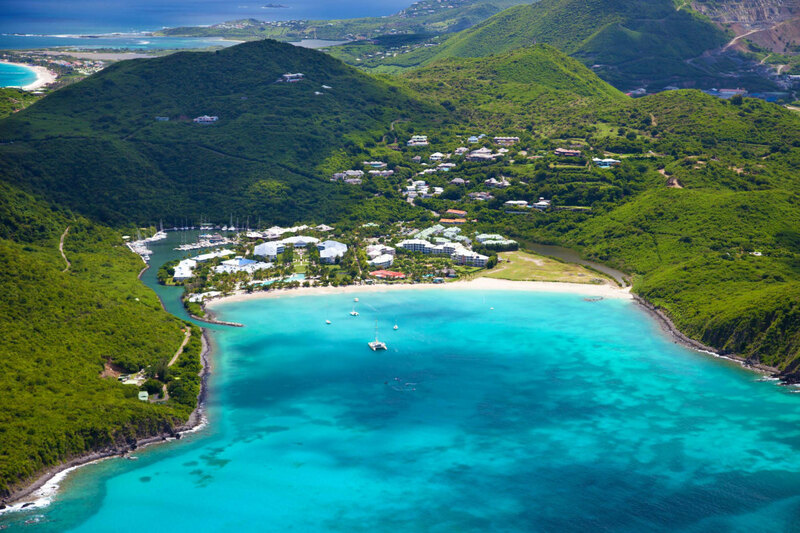 The Friendly Island has it all figured out - SXM is a perfect party in tropical paradise. To put it simply, SXM was the best festival that I’ve been to (needless to say I’ve been to almost all of the ‘big name festivals’ worldwide). It’s easy to tell why Saint Martin’s nickname is “The Friendly Island” as locals greet tourists with big smiles and helping hands. 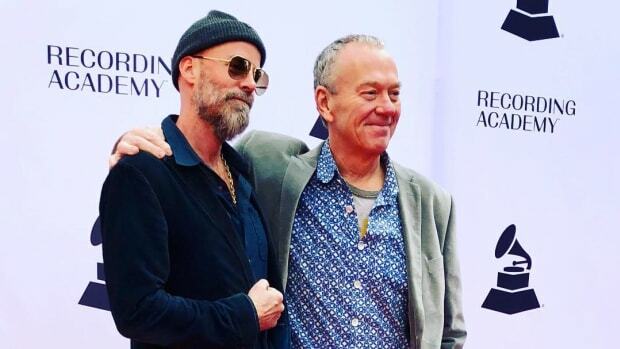 The art, music, and setting for this festival are truly astounding, as they meld together to create an experience that is near impossible to find anywhere else. 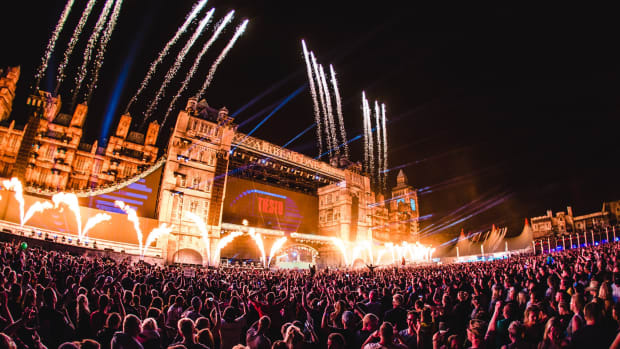 The bottom line is: get your flights, book your villa, and start preparing for next year, because this festival is just about as good as it gets. Skimming just feet above the heads of the sunburned tourists below, we jolted to a stop at the Princess Juliana International Airport in Saint Martin. After an awkward cheer from ‘those people’ on the plane, we departed onto the tarmac to check through customs. A fast-moving line and friendly customs agents welcomed us with smiles as we cruised through the security checks with ease. A little background: Hurricane Irma, the strongest storm in the Caribbean&apos;s recorded history, decimated Saint Martin and the surrounding archipelago in 2017. 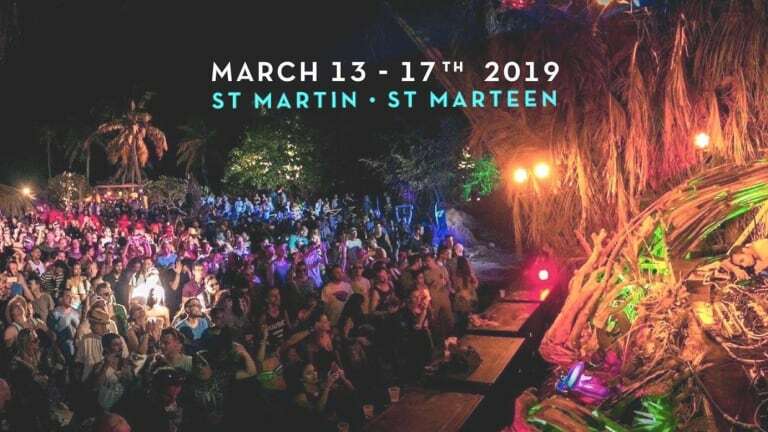 Due to the storm, the 2018 edition of SXM was cancelled and the SXM team focused on the rebuilding process of the island. With an estimated 95% of the buildings on the island getting damaged, and 60% being entirely uninhabitable, it&apos;s remarkable that the island was able to recover in such a quick and effective way. Many of the locals we talked to praised the SXM team for their involvement with the recovery - a breath of fresh air to the typically contemptuous relationship that locals often share with large-scale festivals such as this. We rented a car and headed over to our beautiful villa for the night. During our drive, the destruction from Irma was apparent, but not overwhelming. There were destroyed boats resting upon reefs, houses with roofs ripped off, and piles of rubble that we passed on our drive. Strangely, this destruction seemed to only add to the wonderful experience, instead of detracting from it. Most importantly, it didn&apos;t affect any of the infrastructure that was needed to travel around the island. The juxtaposition of the utter chaos with the kind, loving, and determined locals filled my heart with a sense of genuine pride for the people I met. One of the many great things about SXM is that the accommodations available are not only cheap, but also mind-blowingly gorgeous. Every villa that I visited on the trip looked like a billionaire&apos;s dream house: multiple pools, marble counters and walls, and Doric columns poking out behind palm trees. For half the price of a four-star hotel in the US, I couldn&apos;t help but think about what a steal these villas were. We made a hefty dinner preparing for the week ahead and watched the sun disappear behind the blue horizon. This was the first time that I realized the sunsets and sunrises on this island are some of the best in the world– truly indescribably stunning. 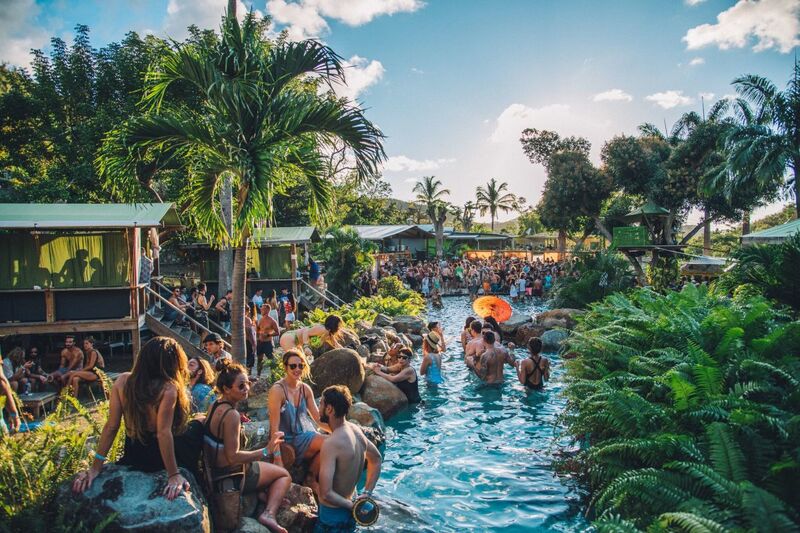 The first official day of the festival we decided to take off from music and explore all that the tropical paradise had to offer. One of the reasons that I think SXM is such a must-go festival is because of the striking location, which looks like it was ripped right out of a postcard. Perfect weather and wonderfully welcoming locals ensured that everywhere we traveled was a pleasant experience. 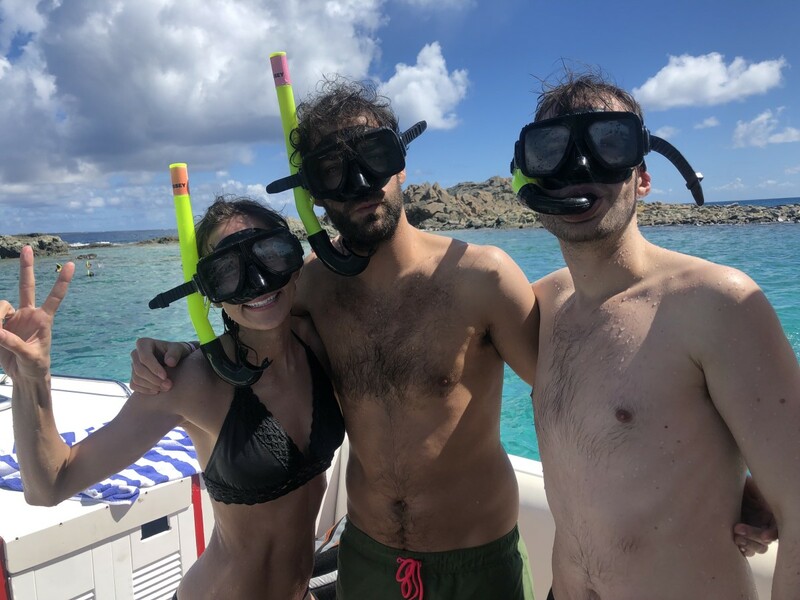 We took a snorkeling/sightseeing trip around the island, stopping at Creole Rock, Ilet de Pinel, and Maho Beach to name a few. The views were incomprehensibly beautiful. Schools of colorful tropical fish darted beneath our boat as we sipped piña coladas on the deck above. Truly, this was the first place I’ve been where the advertisements look less beautiful than reality. On the third day we rose late with vicious sunburns. We took the day to stay away from the scolding UV rays. After a family dinner at the villa, we drove over to Lotus to see some of my most anticipated acts of the week perform. Getting there just in time for Sepp B2B Gescu, the first thing that struck me about this venue was how surprisingly proper everything was. The sound was crisp, the vibe was intimate, and the drinks were cheap. 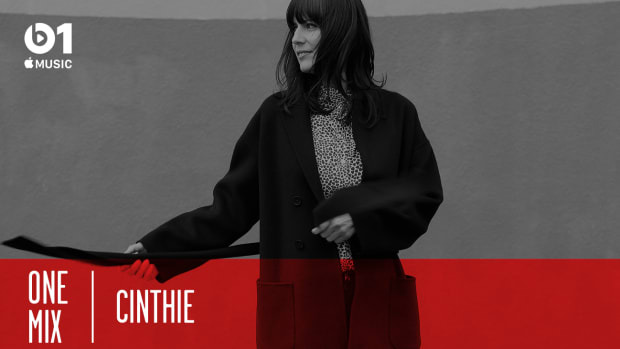 The two Romanian stars took the crowd on a wild journey through their signature sound – weaving complex textures over the top of deep grooves. Following an hour longer performance than programmed, the two relieved the decks to Lamache and Dana Ruh who quickly turned up the heat. 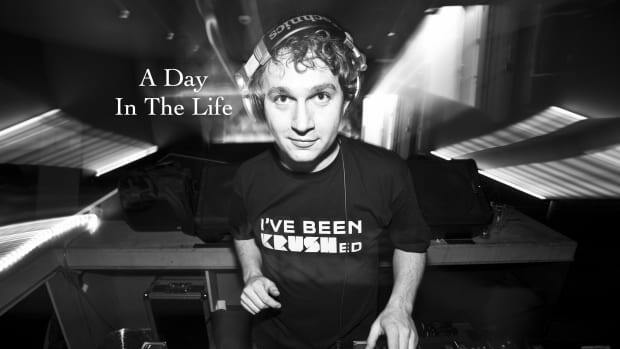 Lamache is one of my personal favorite DJs and if you ever get the chance to see him, jump on the opportunity. Playing back to back with Dana restrained his set than I&apos;ve seen before, but nonetheless these two tore the club apart. By the time the lights were flipped on, the entire dance floor was screaming for "one more song!" After hearing so many great things about the jungle party from the 2017 edition of SXM, we hopped into our rental van and took a direct line to the FUSE jungle party. Situated within what is surely one of the most unique and dramatically gorgeous venues I’ve ever been to, this party was "hands up, heads down" from the moment we walked through the entryway. A dance floor with a massive wade pool greeted us at the Loterie Farm center. Private cabanas receding into the hillside, and a DJ booth built within a tree house stood firmly above the pool, cultivating an extremely unique vibe. 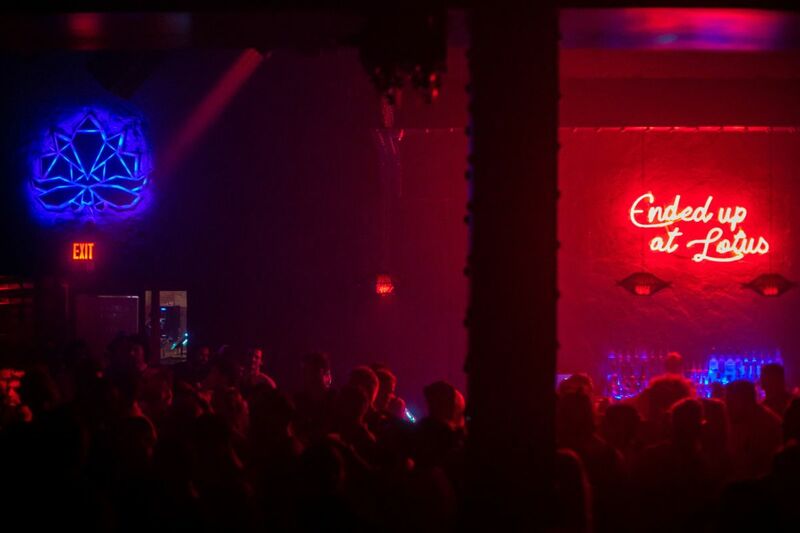 Seb Zito, Archie Hamilton, and Enzo Siragusa tore the dance floor up – first individually, and then as a B2B2B trio. I’ve seen the FUSE guys countless times, but this party was absolutely perfect for their tech house-laden sound. Everywhere I looked, there were gorgeous people with massive smiles on their faces dancing hard. The fellow partygoers were as welcoming as the Saint Martin locals, and the staff at the events were extremely kind. 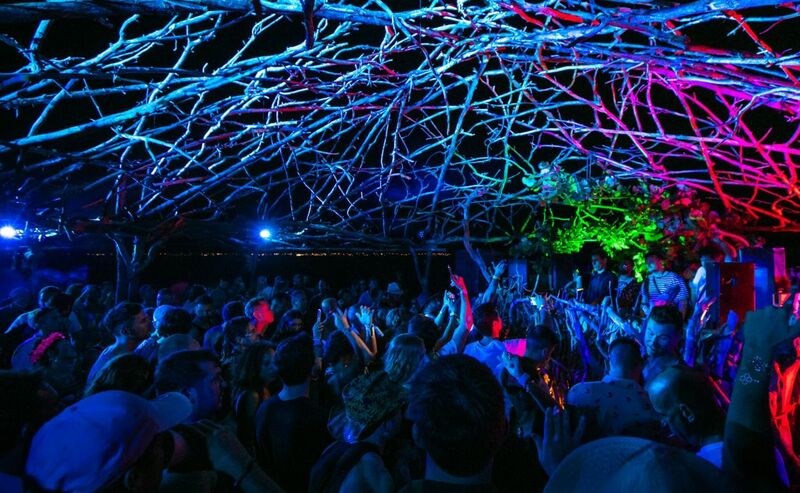 If you&apos;re heading to SXM for 2020, the jungle party is an absolute must. On the fifth day I decided to check out the VIP villa party for a few hours before meeting back up with my friends. This is one of the few festivals that buying a VIP tickets truly makes sense. 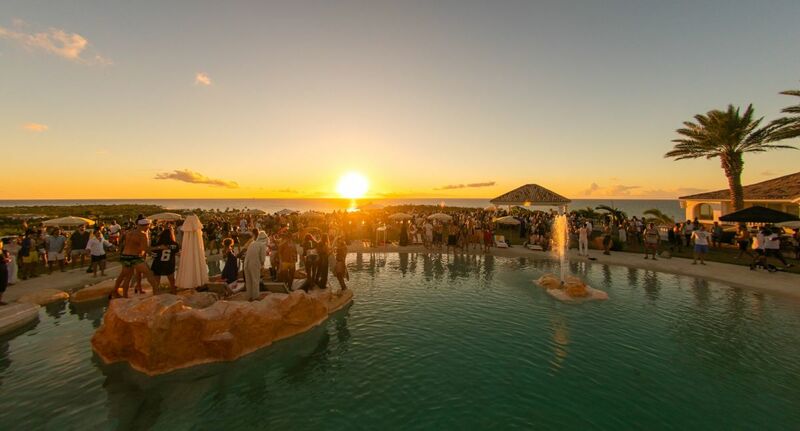 Whereas most festivals provide a VIP bathroom or lounges outside of the speaker’s dispersion area, SXM made sure that the VIP goers got their money’s worth. 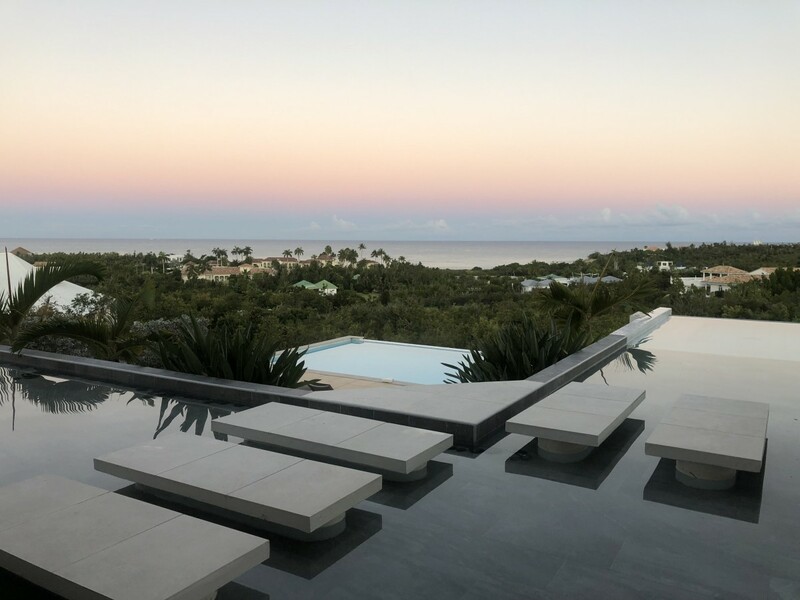 Situated on one of the most beautiful pieces of real estate I’ve ever seen, the VIP villa party provided some pleasant melodic techno overlooking one of those world-famous Caribbean sunsets. Filled with breathtaking moments, this villa party provided a perfect rest for the next few days of savagery. After soaking up the sun for a few hours, I joined back up with my crew and drove over to Happy Bay. Being that it was my first time at the venue, I was absolutely in awe when I walked through the gate. The artwork was simply some of the best immersive art that I’ve seen. 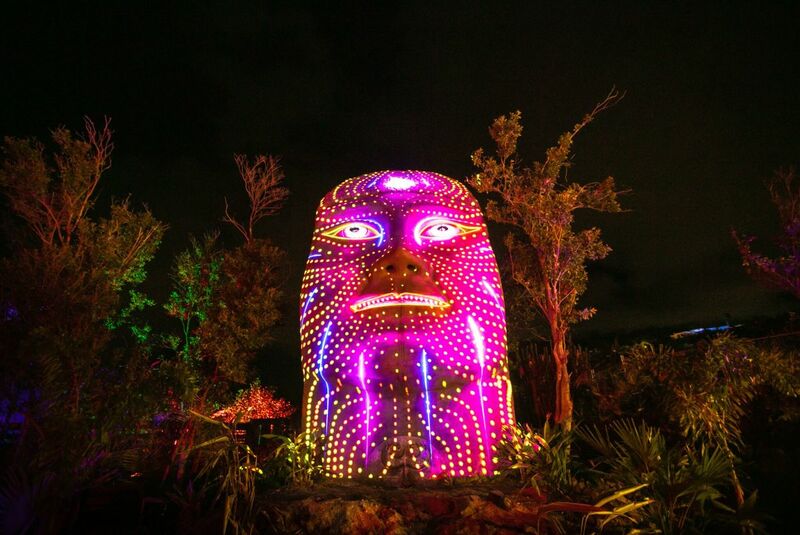 Built with material taken from the debris and rubble left behind by Irma, the main stage was adorned with palm-tree phoenixes (a symbolic gesture providing commentary on the festival’s rise from ashes), and insanely detailed projection mapping onto a monolith akin to the monolithic Moai of Easter Island. 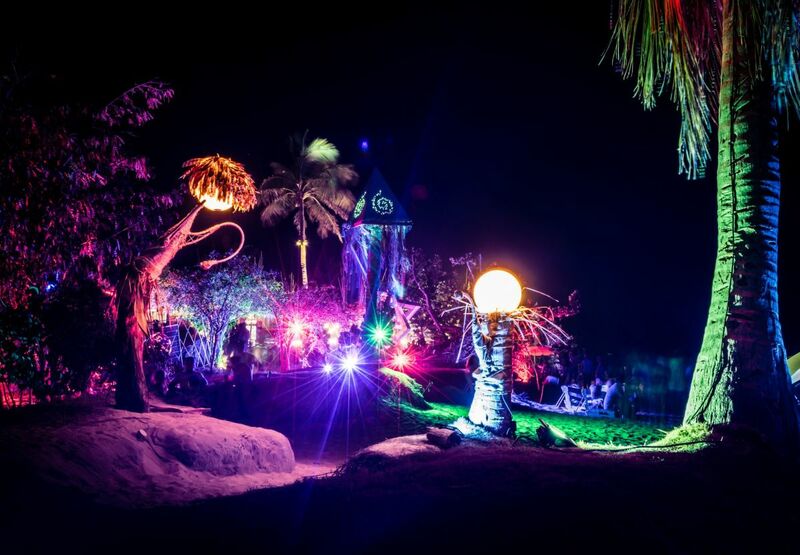 Venturing onto the beach, a neon walkway appeared that offered a creative pathway to the side-stage built from spiraling driftwood. Not only was the art spectacular, but the food available from the vendors were phenomenal as well. Being a vegan, it&apos;s usually very difficult for me to find food at festivals. The SXM team did a spectacular job sourcing a slew of vendors who provided nutritious and reasonably-priced options. The squash burgers were spectacular, and the smoothies available were nourishing and delicious. Hats off to the whole team for putting their superb food court together. After taking the time to explore all of the art, I checked out Digby, who did a spectacular job with a growing crowd. Diving into breaks, minimal, electro, and house influences, it was easy to see why Digby has become one of the rising stars in the underground scene. Following Digby, DJ W!LD took over the decks pushing a more techy sound. Loaded with hip-hop and &apos;90s R&B samples, the veteran DJ did a superb job keeping the crowd interested but never making the vibe too cheesy. Up next was Sammy Dee, who offered one of my favorite sets of the weekend, offering a genre-bending set that is impossible to describe. The Perlon staple weaved intricate tracks together seamlessly and really set the tone for the rest of the evening. The Perlon vibes continued as Japanese minimalist Fumiya Tanaka, took the stage. There were glimmers of greatness, but some of the tracks were a little too experimental for my personal liking. That said, Tanaka had me dancing the whole time and did a wonderful job infusing jazzy elements to the minimal sound of the night. Sonja Moonear saw a return to form, as she sucked the dance floor back in and got people into party mode. Her infectious smile and dance floor-oriented selection saw the crowd getting loose and wild with her at the helm. Highlighted by VID’s gorgeous edit of Everything But The Girl&apos;s "Wrong," the mesmerizing set was programmed perfectly before Zip took over. The Perlon head honcho wasted absolutely no time getting to work as he picked track after track of ripping grooves that had that dance floor in frenzy through the sunrise. 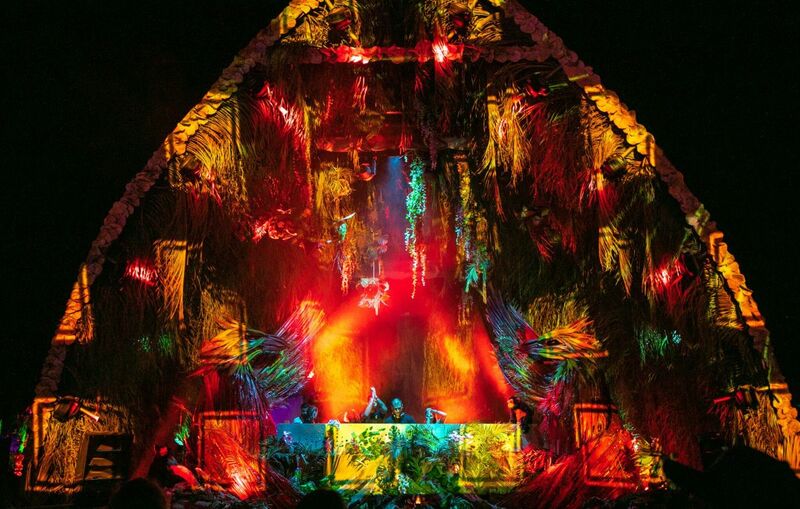 With Ricardo Villalobos popping in and out of the picture like a performance artist, the two icons looked almost cartoonish with the palm leaf-strewn terrarium inside the main stage. After a tough debut at SXM two years prior, Villalobos showed once again why he is considered one of the best in the world. Bouncing around without a care in the world, he dug through his record collection picking out gem after gem of deep, minimal grooves. 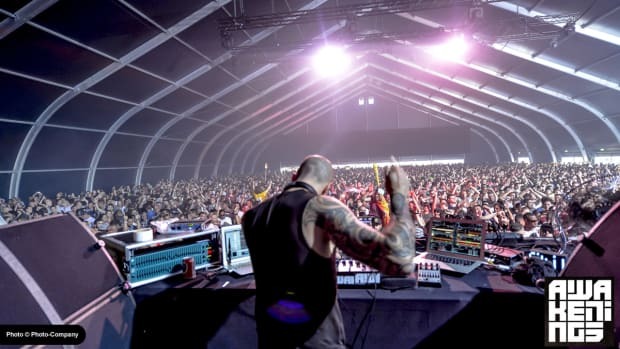 I still have no idea how that man mixed so flawlessly with how much socializing he did behind the decks, but I suppose that is the mystery and awe that comes with any Villalobos performance. Returning to Happy Bay after sundown, we found ourselves getting to the beach just in time for Apollonia and SIT. Popping between the venues, we first saw Apollonia in prime form as they bounced their way through 3 ½ hours of house rippers. 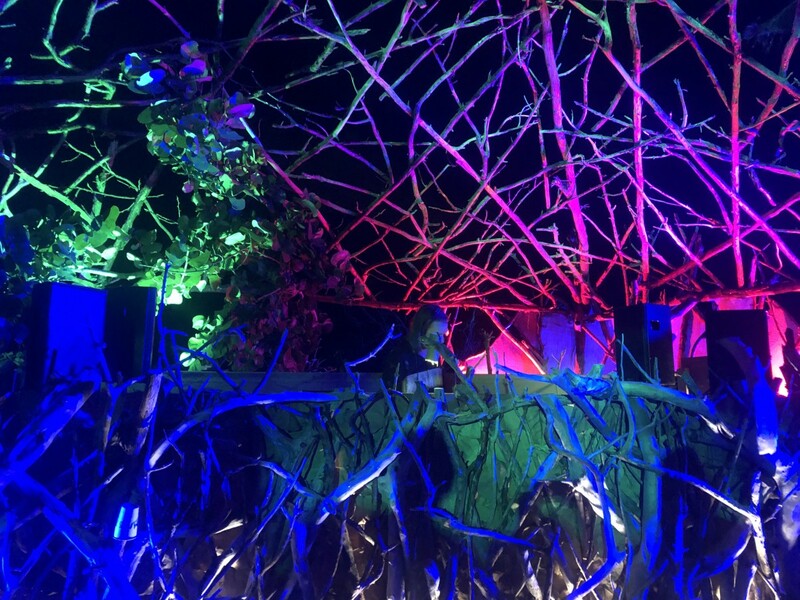 Over at the Ocean Stage, built nearly entirely out of twisted driftwood, SIT, Digby, and Dewalta offered a master class on minimal grooves as they went B2B2B for over 5 hours. With an intimate crowd, there wasn’t much more a minimal lover such as myself could ask for. 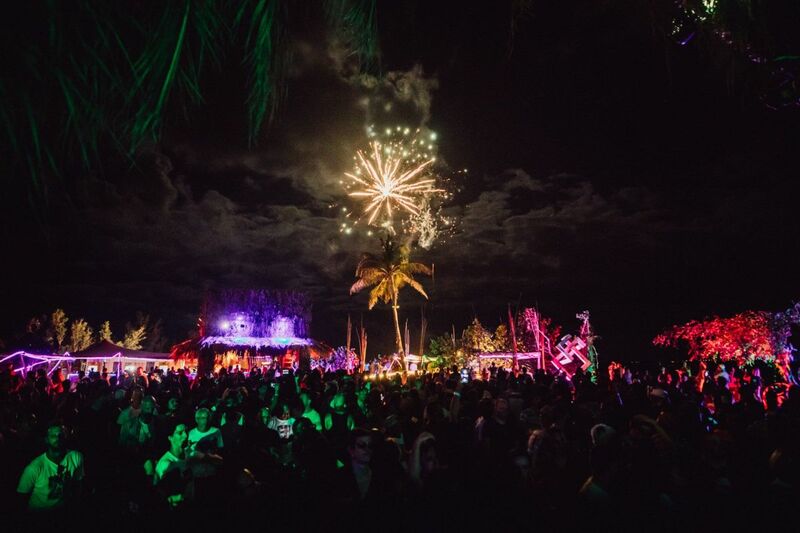 Mind-bending textures and deep, vicious grooves extended across the beach as partygoers danced just 50 feet from the Caribbean Ocean. DJ W!LD closed things out on the Ocean Stage with a similar set to his one the day before while Dubfire played a (personally surprising) impressive set of dark techno slammers. We headed home and unfortunately passed out before getting back to Lotus for Traumer, who supposedly kept the club open six hours longer than originally planned. Most festivals have a slew of things that they could improve upon, but SXM carries itself like a veteran festival that has all of the kinks figured out. Though we didn&apos;t get to check out all the venues and all the parties, every one that I went to was truly special in its own way. I genuinely can&apos;t emphasize enough how much this is a must-go festival. If you&apos;re smart, you&apos;d be booking flights and planning for the the 2020 edition. Some people like to show you new tracks. I like to show people new genres.